Tables and chairs are delivered stacked. It is the responsibility of the customer to set up and arrange tables and chairs. 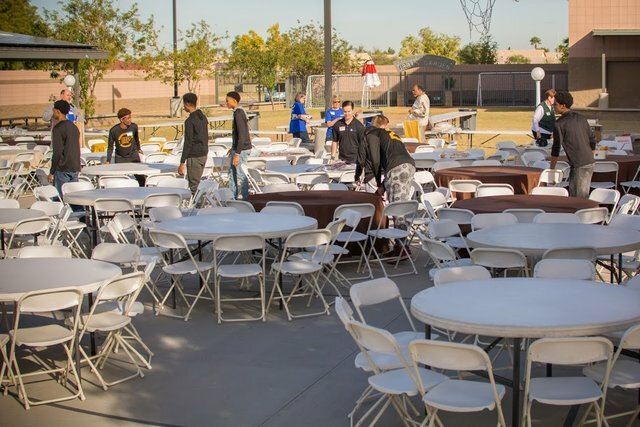 ***Set up labor can be arranged at $3 Per Table, This cost includes the set-up and breakdown of Tables.